As the rumored iPhone 5 release date of September 21st draws nearer, we’ve been bombarded about rumors of changes to the form factor of the iPhone 5. We’ve all heard about the bigger screen, the new 19-pin connector and the change in the headphone jack’s placement from the top to the bottom of the device. But what about non-physical changes? Well, it looks like Siri just learned a whole new language. The Chinese market, which includes Taiwan and Hong Kong, is Apple’s second largest market. Their third quarter sales in the region, ending in June, closed at nearly $6 billion. That number, while impressive by itself, was actually much lower than their sales numbers from the January-March period by $2 billion. Clearly, you can see why Apple would want to keep their Chinese consumers happy, especially with the iPhone 5 launch just a few short months away. But doing that is becoming more and more difficult as phones from companies like Samsung keep encroaching on their territory. One major disadvantage that Apple has is that they don’t release phones as often as their competitors. Chinese consumers are also flocking to these Android devices because of their bigger screens, better cameras and wide selection of apps. And while it wouldn’t make sense for Apple to release iPhones on shorter intervals, there are other steps that they can take to ensure that their smartphone remains competitive in the region — localize it by teaching it new languages. While this may keep people in the region from buying the iPhone 4S, it’s a brilliant move for Apple in the long term because it makes their devices more locally accessible. 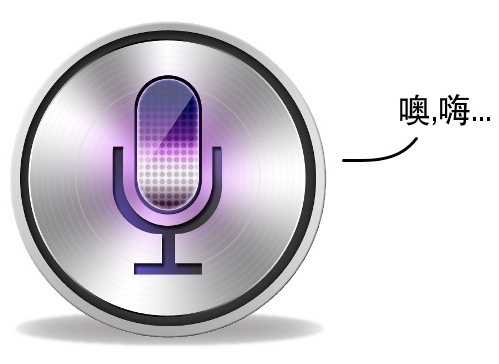 The success of this could also lead to more languages being integrated into Siri after the iPhone 5 debuts. For more information on the iPhone 5 release date and expected features, take a look at our complete iPhone 5 rumor roundup.